Observatory Campground is a 42-site campground in the Palomar Mountains near San Diego County’s famed Palomar Observatory. 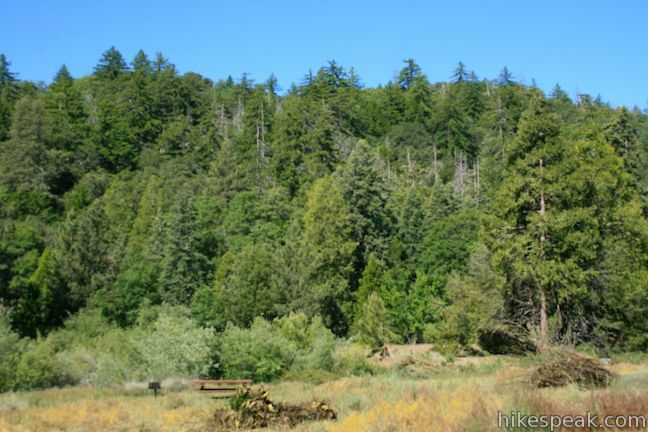 The astronomically accommodating Cleveland National Forest campground is the start of Observatory Trail, which ascends to Palomar Observatory. Observatory Campground is open from April through October and is suitable for tents or RVs. Fire rings, charcoal grills, picnic tables, and flush and vault toilets are provided. Drinking water is available, along with coin operated showers. Dogs are allowed on leashes in the campground. The maximum vehicle length ranges from 12 to 35 feet depending on the campsite. 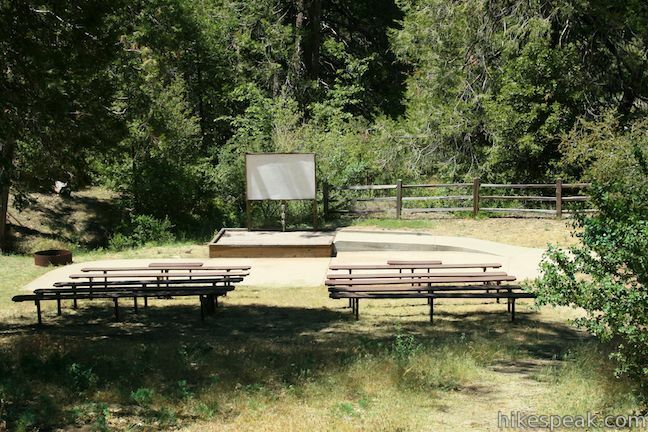 The campground’s amphitheater near the start of Observatory Trail is a perfect gathering point. Observatory campground is spread over one big loop. Of the 42 sites, five are “double sites” and have room for 16 people instead of 8. If you count these double sites separately, there are 32 standard sites and 5 large sites. Site 3 is wheelchair accessible. Sites 6, 7, and 9 – 16 have short walk-ins that give campers a bit more wilderness immersion. Sites may be reserved online at recreation.gov. Single sites are $15 per night and double sites are $30 per night. A $5 fee is charged for extra vehicles (prices as of 2018). An exciting amateur astronomy project, called Explore the Stars – Star Parties, occurs monthly during the spring, summer, and fall at Observatory Campground. A group of amateur astronomers from across Southern California bring the beauty and the awe of the night sky to more than a hundred non-astronomers at a location only two miles from the world renowned Palomar Observatory. Visit the Explore the Stars – Star Parties webpage or call the Palomar Ranger District of the Cleveland National Forest for more information, (760) 788-0250. To get to the campground: Take the 15 Freeway to exit 46 for Route 76 east toward Pala. Drive east on Route 76 for 20.4 miles and turn left onto South Grande Road (S6). Take South Grade road for 6.8 miles to an intersection with East Grade Road and angle left to continue up South Grade Road, driving north for another 2.4 miles to Observatory Campground. Turn right into the campground. The 5.1-mile hike travels between Observatory Campground and Palomar Observatory, crossing a pleasant mountain woodland with valley views along the way. This easy half-mile hike from Indian Flats Campground explores seasonal pools in the East Fork of the San Luis Rey River. This 4.4-mile loop begins with a 1 2/3-mile ascent that gains 1,200 feet to reach a panoramic summit and then descends along a ridge for even more views. This 2.5-mile hike rewards a good workout with panoramic views as it climbs to a 1,194-foot summit in Mission Trails Regional Park, just 10 miles from downtown San Diego. 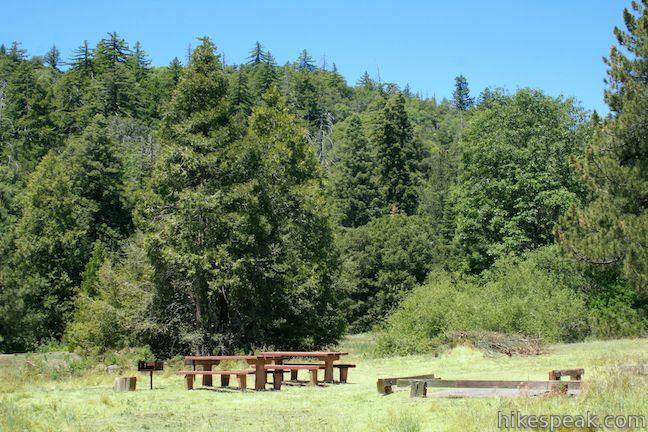 This 17-site campground in Cleveland National Forest offers first-come first-serve camping for $12 per night. 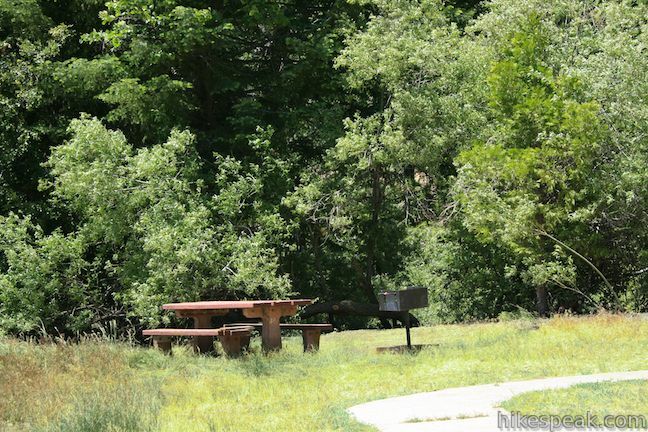 This 24-site campground in Cleveland National Forest offers convenience camping in the Santa Ana Mountains for $15 per night, with access to nearby trails like El Cariso Nature Trail. I made reservations for a site a observatory (site 10) campground, for may 9th for 2 days, now I can’t confirm them. can I get some feed back on this? Best to contact the national forest directly. Have a great trip! Are there any day hikes nearby the campground? Hi. You would need to rent an RV elsewhere. Are there first come- first serve sites available? Sites can be reserved in advance. Any sites that aren’t taken become first-come first-serve.